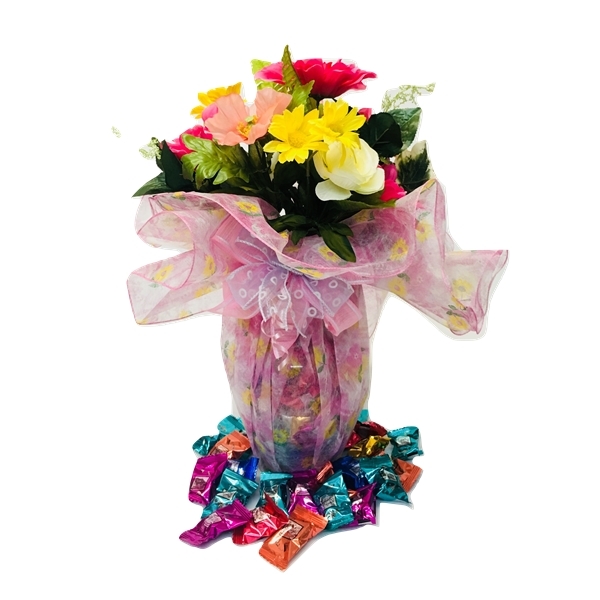 Send the sweetest of all gifts for a special occasion with this beautiful faux flowers bouquet. 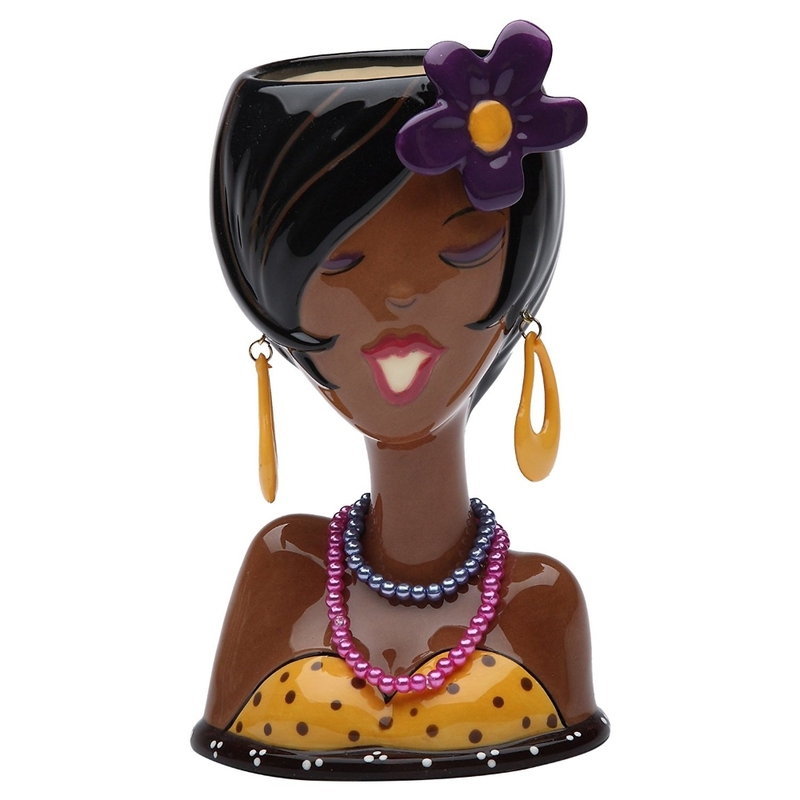 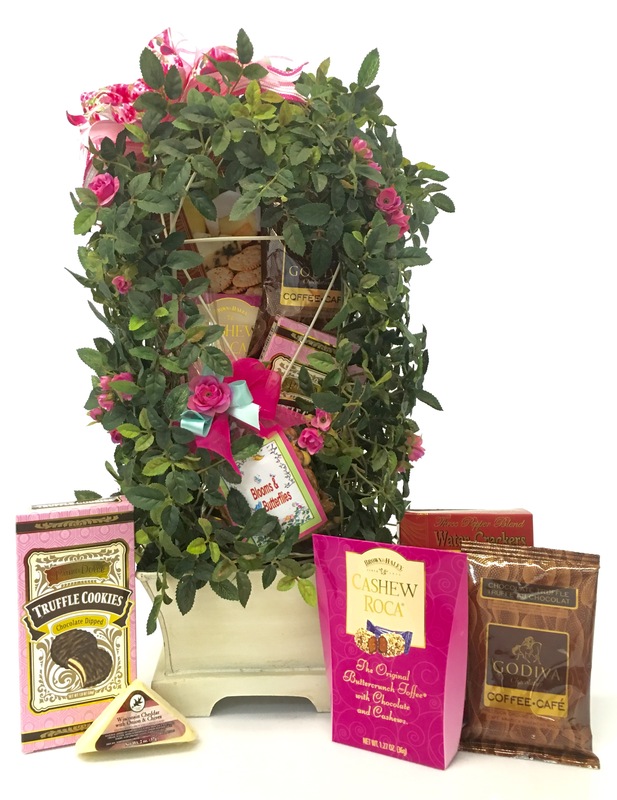 The bouquet has a glass vase filled with a pound of assorted flavors Monty Bojangles Truffles. 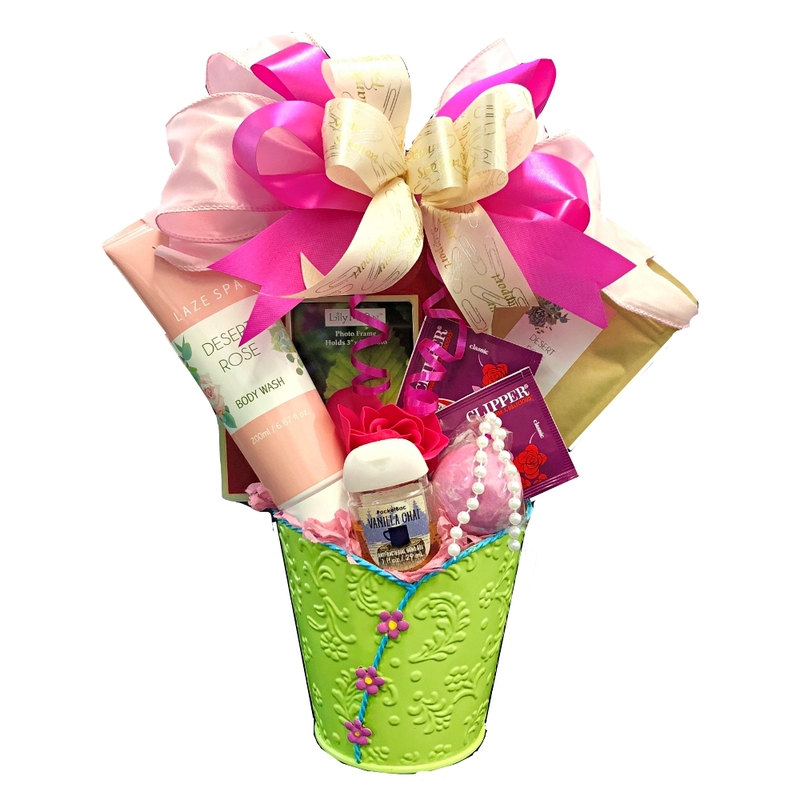 Are you looking for a sweet way to express your happy wishes for a new baby? 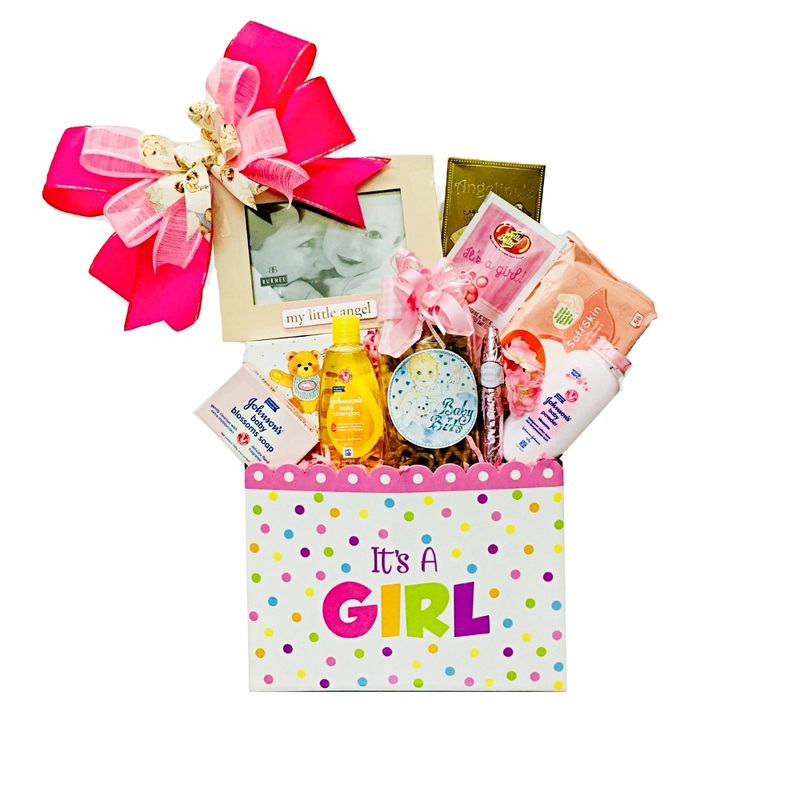 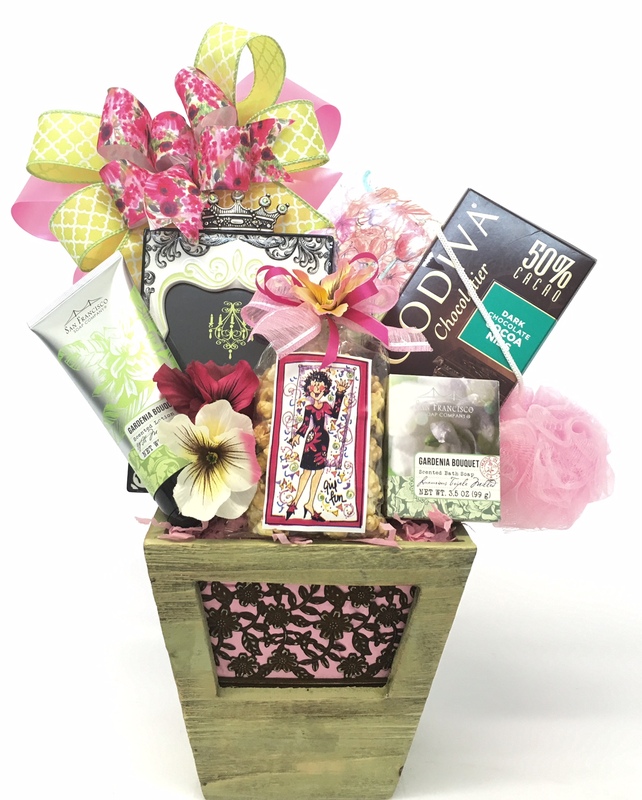 We have the perfect way to do so with this Wonderful It’s a Girl Gift Basket! 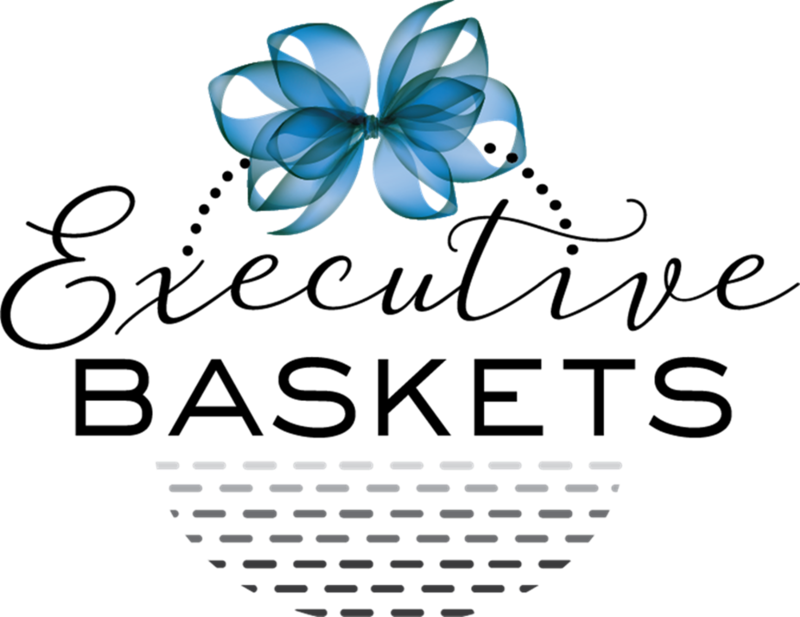 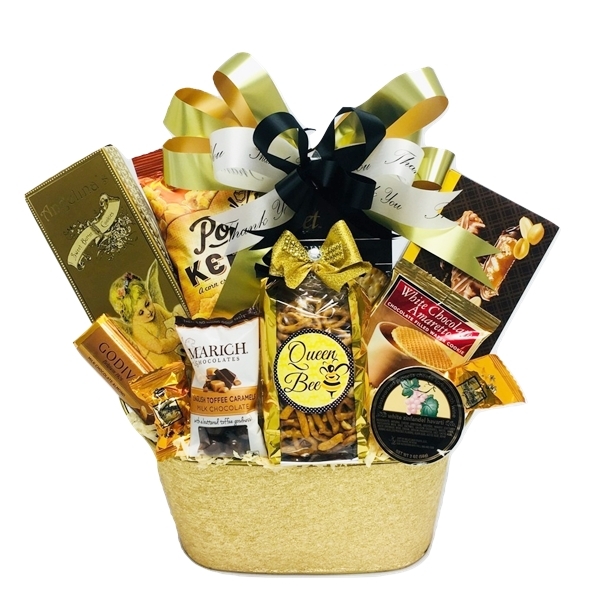 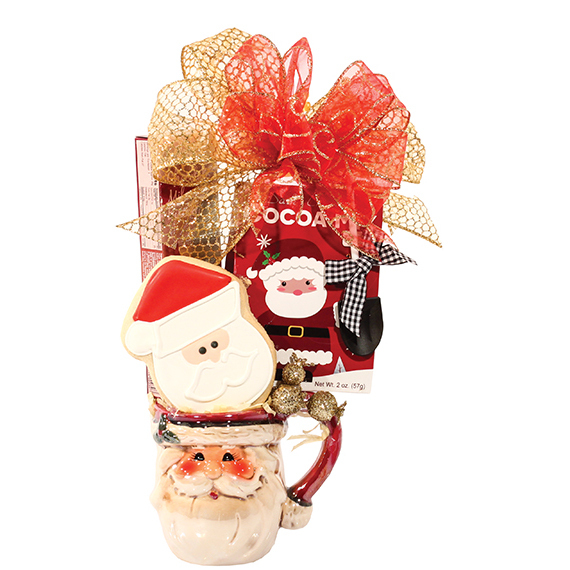 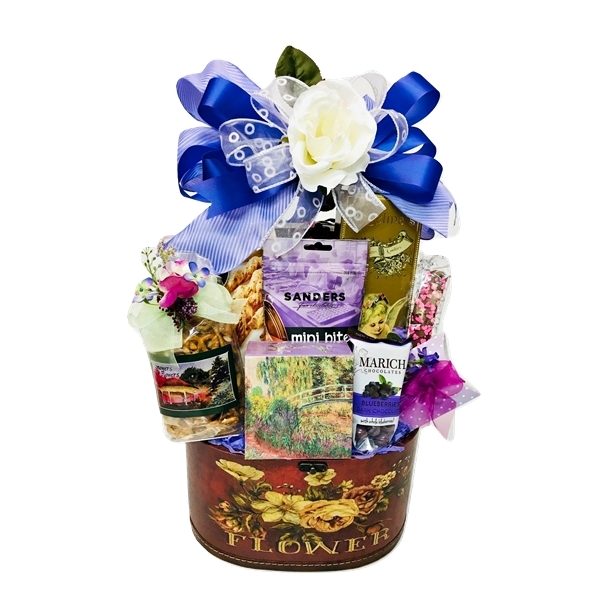 Delicacies fill this prestigious gift, it can serve as an all purpose corporate basket as well as any other gift. 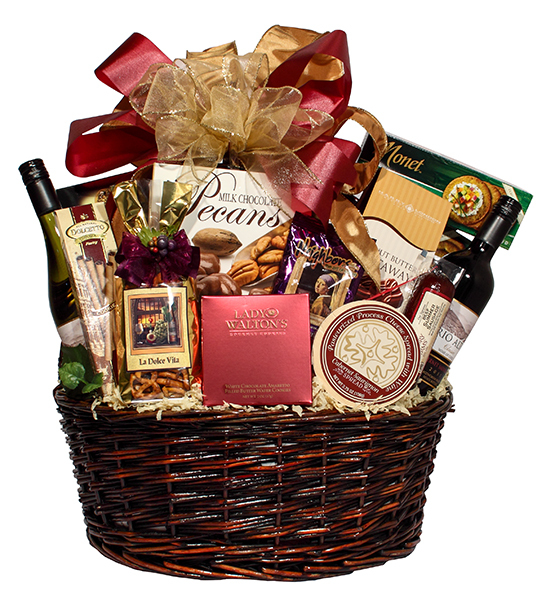 Two bottles highlight this elegant array of tempting treats.